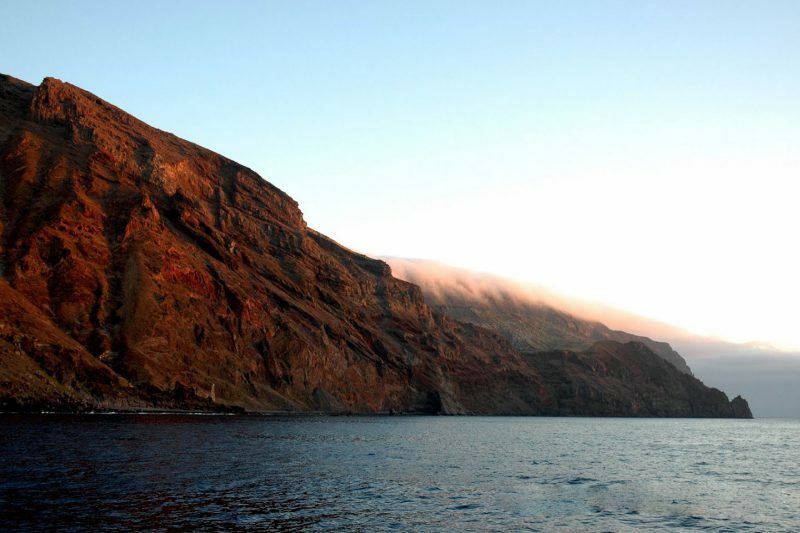 Reserve Isla Guadalupe is one of Mexico’s most isolated islands. It is this very fact that makes Guadalupe’s flora and fauna so incredibly unique. This remote outpost of land with its diverse landscape makes Guadalupe a sheer magnet for marine life above and below the water. Great White Shark Diving in Guadalupe Island lies 160 miles off the Baja California coast and 220 miles south of San Diego. The island is approximately 20 miles long and varies in width from 4-6 miles. Open ocean currents wash Guadalupe with crystal clear water often exceeding 100 feet of visibility. Water temperatures usually range from 65-75 degrees Fahrenheit. The majestic North West side of the island is perhaps the most awe-inspiring sight upon arrival. The North Head is solid rock rising to an amazing 4200 feet above sea level. Such a pronounced vertical protrusion into the atmosphere in a flat seascape such as the Pacific Ocean actually causes unique localized weather conditions. Large, dense fog banks which shroud the islands higher elevations during the day and spill over the lee side in the afternoons much like smoke pouring out of a witch’s cauldron. Von Karmon vortices are also a common occurrence. These are localized winds accelerated by prevailing trade winds wrapping around Guadalupe Island. Adding to the island’s mystique is the landscape itself. Geologically speaking Guadalupe Island is a spectacular sight. Large upheavals of solid rock and the numerous cinder cones tell a tale of Guadalupe’s volcanic origins. The sheer cliffs that make up much of the island’s coastline are magnificently colored in bands of red and orange. Because of the island’s remote location there are many plants endemic to the Reserve Isla Guadalupe. 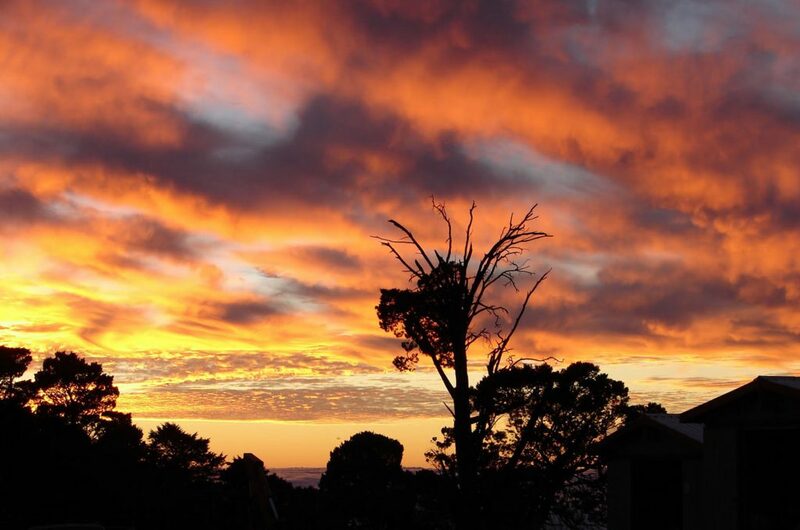 Decimated by goats brought to the Island by the Russian fur trade, Monterey Pines and Guadalupe Cypress once formed high altitude forests, which condensed moisture from clouds into fresh water springs. Large Oaks as well as Guadalupe Palms call the island home. In recent years, conservation efforts have helped these ancient forests to re-gain a foothold at the island. Guadalupe Island also supports a large marine mammal population. The northern most beaches are home to breeding colonies of Northern Elephant Seals and Guadalupe Fur Seals. Both species were hunted to near extinction during the early 1900’s. Fortunately, enough individuals managed to elude sealers to ensure both species survival. Now in abundance, they are easily viewed by boat while cruising the shoreline. California Sea Lions and Bottlenose Dolphin are also a common sight. Of course the island’s most notable inhabitants is the Great White Shark. The sharks make appearances at Guadalupe Island seasonally. Their presence coincides with warm water and Yellowfin Tuna. These sharks are now a common sight in the fall months and have made Reserve Isla Guadalupe Island the world’s best location for Great White Shark diving. The population of Great Whites at Isla Guadalupe is so reliable that it has been the subject of numerous documentaries featured on channels such as Discovery, National Geographic and the BBC. It has recently become the focus of a major research endeavor and Islander Charters is proud to be involved in these efforts.